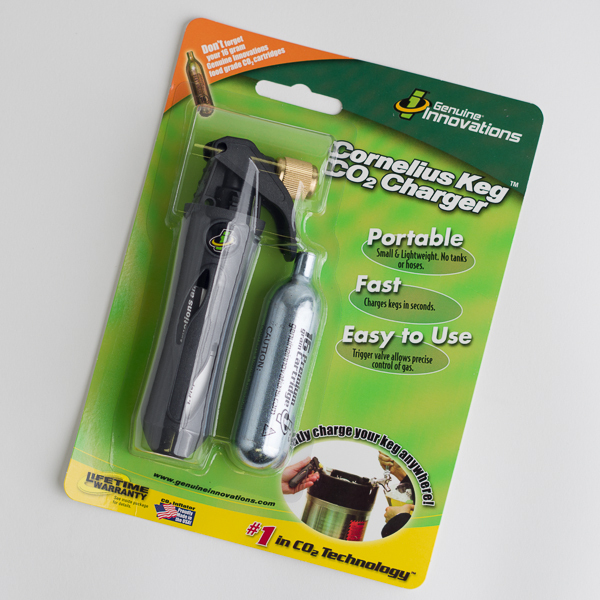 Use this handy Co2 keg charger to quickly charge your keg with Co2. Great for situations that you'd rather not take your entire gas system to. 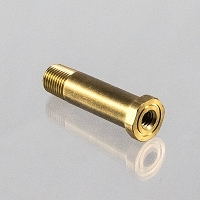 Simply attach to a 1/4" male flare fitting and pull the trigger. Takes a 16 g Co2 cartridge (1 included). 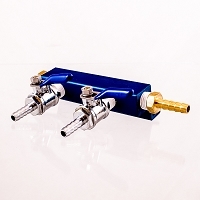 Gas Distributor, 2 Way, 5/16"